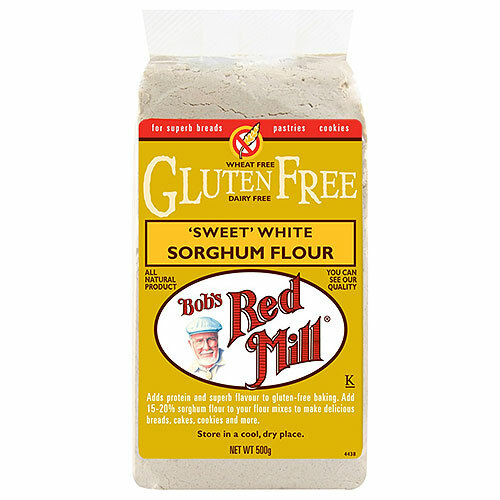 Sorghum Flour is stone ground from 100% whole grain sorghum. It has a light colour and texture and a mild, sweet flavour, making it a wonderful ingredient for gluten free scratch baking. Whole Grain Sweet White Sorghum. It can be added or substituted in any recipe that calls for flour like cakes, cookies, breads and muffins. Manufactured in a facility that also handles tree nuts, soy & sesame seeds. 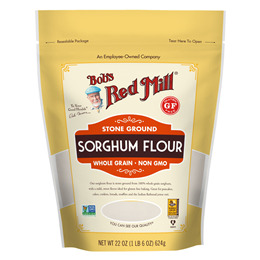 Below are reviews of Bob`s Red Mill Sorghum Flour - 500g - Best before date is 1st June 2019 by bodykind customers. If you have tried this product we'd love to hear what you think so please leave a review.